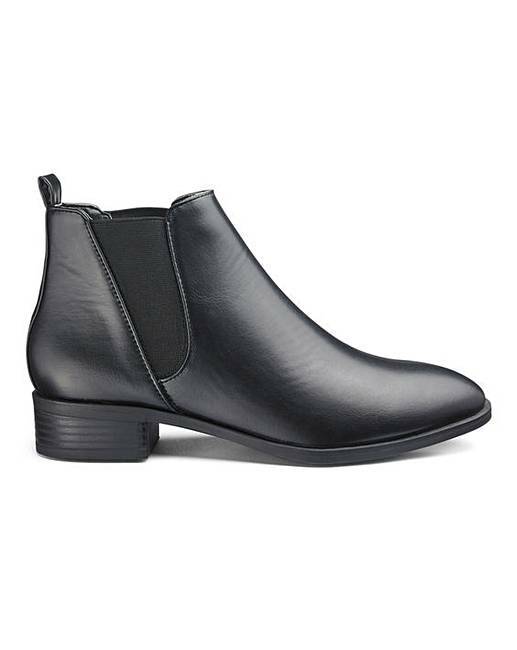 Florence Chelsea Boots Wide Fit is rated 4.5 out of 5 by 35. These Chelsea Boots are a staple in your boots cupboard, featuring the classic elastic panels at the sides for ease of slipping on and off. Complete any casual outfit with these flat, comfortable ankle boots. Rated 5 out of 5 by Debz from Chelsea Boots Love the boots really comfortably and looks good for work and a night out with Jean's. Rated 5 out of 5 by Candylou79 from Perfect little boot I suffer with neuropathy and really struggle with boots and shoes as they hurt and rub, these have not as I got EE fitting. Looks great with jeans or trousers and even with a skirt. Rated 5 out of 5 by Cece from Good fit I bought the boots couple of weeks ago they are a nice fit and comfortable. 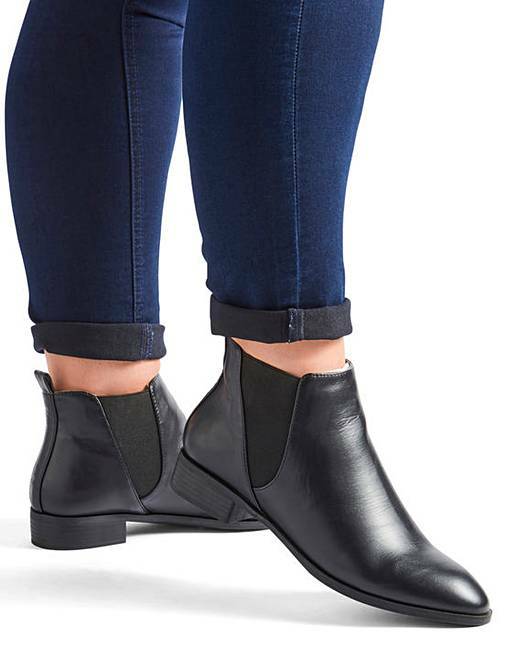 Rated 3 out of 5 by Nikki from Ok They are nice boots but the sizing is not very good I brought a size 5 and they were massive so I reordered a 4 and there very tight . 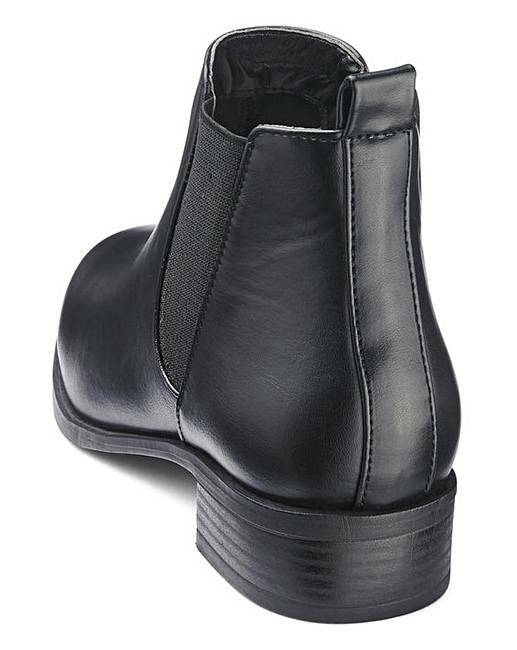 Rated 4 out of 5 by simz from Decent chelsea boot Got these for £10, they are nice, would not pay £25 for them! !